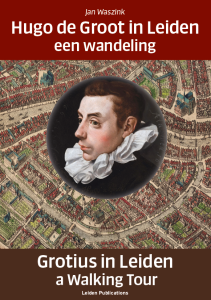 On Thursday December 14, 2017 a bilingual walking guide (Dutch/English) of Grotius’ time in Leiden will be launched with a walking tour by Jan Waszink. 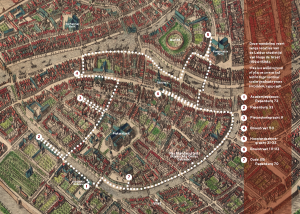 This scenic walking tour follows the locations of Hugo Grotius’ (1583-1645) undergraduate years in Leiden. It shows the places where he lived and studied, and gives an impression of the town, of some of the people around him and the workings of Leiden University at that time. Grotius matriculated at Leiden in 1594 when he was 11 years of age, and left the university in 1598. Later, as a politician and as a scholar, he became one of the most well-known Dutchmen from the Golden Age. Nowadays he is regarded as one of the principal founders of the current system of international law, and for that reason as one of the foremost intellectuals from European history. Jan Waszink is a lecturer and researcher at the Grotius Centre for International Legal Studies of Leiden University and author of the guide. The tour will start at the Academy Building (Rapenburg 73) at 14.30pm and ends at the Leiden University Library (Witte Singel 27) around 16.00pm. 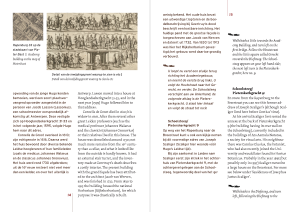 There will be a pop up exhibition of Grotius’ time in Leiden, and the walking guide can be purchased after the tour as well. For more information contact us at marketing@lup.nl.